Surface water is influenced by weather, pollution, agricultural practices and land use, which increasingly necessitates continuous monitoring. Telemetry systems from Ranch Systems can perform all types of hydrological and water quality monitoring of fresh water. We can monitor still water such as lakes, reservoirs and ponds as well as the running water of streams and rivers. (We currently are not involved in any marine applications.) We can also integrate a wide range of sensors that include: multi-parameter sondes, submersible level, radar level, bubblers. In addition, we can provide a full range of adjunct weather stations. While we do not support the ALERT standard, our systems can be used for flood warning and storm water applications. Ranch Systems has been helping large farm operations manage their water and irrigation systems for over ten years. We are now taking that extensive experience into helping water agencies better manage their infrastructure. We can remotely and continuously monitor the level of tanks, ponds, reservoirs and wells. In addition, we can measure pressure and flow in pipelines as well as water quality (using multi-parameter sondes). We are Modbus compatible and can monitor and control VFD pumps and communicate with PLCs and other devices. Our Open Architecture allows us easily communicate with SCADA and many other systems. Combined with the powerful alerting and reporting features of our software, our systems enable you to better manage your water system. Ranch Systems has significant experience monitoring both water supply wells and groundwater monitoring wells. 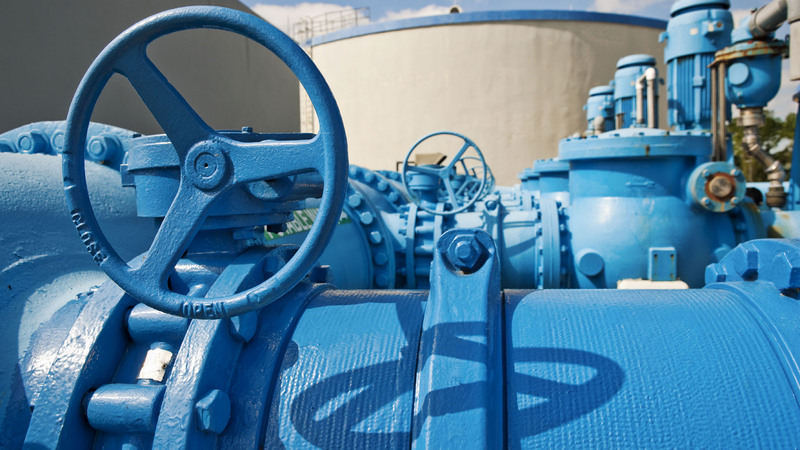 In water supply wells, we can monitor level using submersible or ultrasonic sensors and discharge by connecting to any flow meter with a pulse output. Our expertise in pump control enables us to also control any type of pump: electric motor, electric motor combined with VFD, and even diesel engine with Modbus controller. We can also apply a wide range of water quality sensors to water supply and groundwater wells. Our advanced monitoring and control capability enables agencies to better manage their groundwater resource. Our on-line software application has advanced capabilities in terms of alerting, reporting and overall ability to provide powerful decision support. The alerting is quick and easy to set-up while having the capability to be triggered by any sensor data as well as “virtual” sensor data that can be based on multiple inputs and algorithms. The reporting tool enables the creation of custom reports that can be generated and delivered automatically. The reports or any collected data can easily exported or uploaded into other programs. Customizable dashboards and custom created “widgets” can be combined to provide data in the way that most actionable to an operation. Simple to set-up alerts "form"
Ranch Systems is expert in deploying soil moisture stations; in ten years of agricultural experience we have installed hundreds of systems. We are compatible and experienced with the myriad of sensors found in the market. Most importantly, we know how to install these sensors to obtain accurate, meaningful data. Once in our on-line software, the data can be viewed and analyzed with our best-in-class graphing capabilities. Our cost effective stations can be easily expanded with a full set of weather sensors for micro-climate monitoring. Ranch Systems Open Architecture enables water agencies to configure weather stations to their specific requirements and budget. We can provide a basic weather station complete with telemetry for under $2000, or we can use the highest quality sensors to assemble a meteorological-grade station. Our expandable hardware platform enables any existing station, such as a hydrological monitoring system, to be augmented with weather sensors. In addition, our open platform enables weather data from other sources to be imported and displayed (e.g. CIMIS or Weather Underground). Our weather data can also be exported into other weather monitoring applications.